The superficial kid leather is chosen for the surface material and is comfortable to wear. 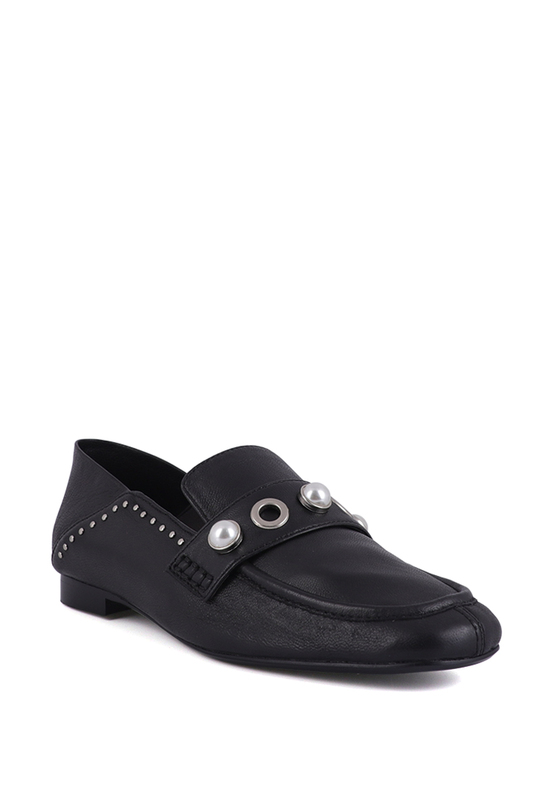 There are two ways to wear this loafers, you can choose to wear the pedals, it is very convenient. Pearl buckles and metal studs accentuate the design of the shoes to a higher level. Upper: LaceLining: LeatherOutsole: RubberHeel Height: 2cm-OL must have itemA pair of lace flats line..